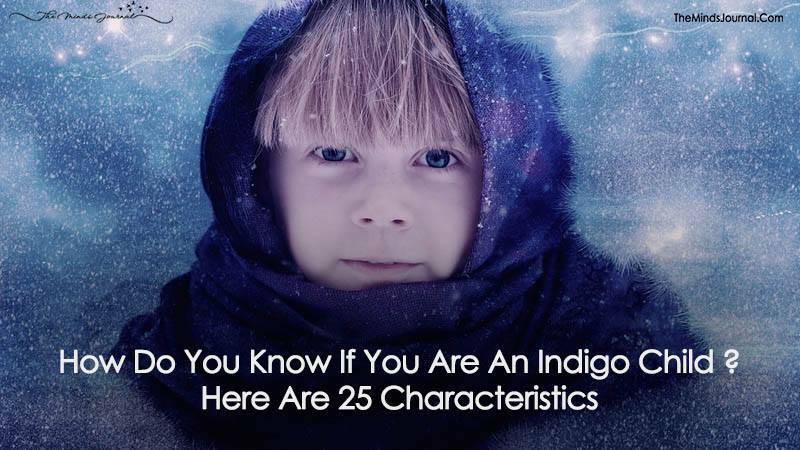 Before we talk about the characteristics and traits of the Indigo Child/ Adult, we must start by figuring out who the Indigo Child/ Adult are. Who can be called an Indigo Child/ Adult? These are the “Gifted ones”. They are the ones who are meant to change the way humanity has been working for all this time. Their mission is very clear; they are just here to reshape the very concept of reality and challenge the hitherto structures of society. The Indigo child/ adult are often diagnosed with behavioral problems like mood disorders, ADHD etc. They are even given medication for these problems that they don’t have at all and these medications (obviously) have an adverse impact on the brain of the Indigo child. Thus, it results in the loss of contact with their true nature which is not only a loss to them but it is also a huge loss to the whole civilization. This only goes to prove one thing which is that the Indigo Child/ Adult are largely misunderstood. 1. You may be brilliant but that brilliance is more natural. It isn’t premised on the grades that you get. You may not be getting the best grades but everyone around you appreciates and is very aware of your intelligence. 2. You may be extremely creative and would love to make new things by using your creative reservoir. You cannot stop yourself from being creative even if your life depended on it. 3. You are searching the answer to the Whys of life. This means that the reason behind everything intrigues you so much more than anything else. You just want to know why things are the way they are. 4. Perhaps, you detested some practice in the school and wanted to change it no matter what. So much so that you even planned how to do the same. This shows that you do not like authority and control. You wish to be free. 5. Also, you surely were rebellious in school and hated when people wielded power and authority over you. 6. Early in life, you faced depression and sadness. Yes, sadness and melancholy were the basics of your life and you dealt with depression as well so much so that suicidal thought were everyday phenomena. 7. You may have problems in jobs that are service oriented. This means that you like to be your own boss. Again, you don’t like or appreciate authority. 8. You either prefer working alone or you prefer the high positions. This is because you are sometimes uncomfortable in the presence of people and you want to reduce your interaction with them. 9. You have a deep unwavering sense of empathy for the people around you but you do know when someone is just stupid. This means that you only feel empathy for people who deserve it. 10. You may be extremely emotionally sensitive. You can cry even at the movies and people have often pointed this about you. Some people love this side of yours and also confide in you sometimes.